Enforced exile from the patch due to DIY, family and work commitments was ended with a trip out to the hedgerows of the Wirral Way. 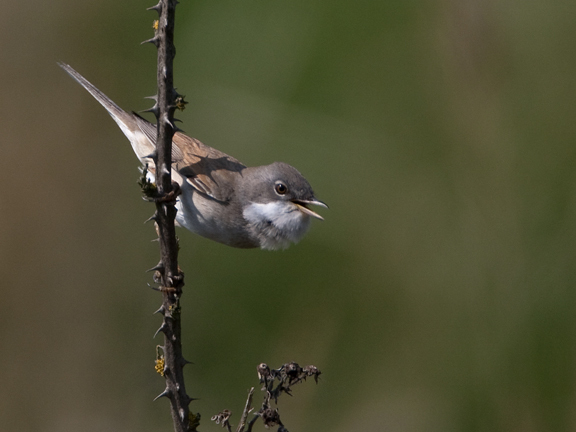 Time was restricted so it had to be the Wirral Way, you are guaranteed to get a few warblers there at the moment. They are literally dripping off the branches of the hawthorns. I renamed the Wirral Way Chiffchaff Alley a couple of weeks ago but it might require a further re-naming. More warblers have joined the Chiffchaffs and I was treated to great views of 4 species in little over an hour. Chiffchaffs are still present but are much quieter. 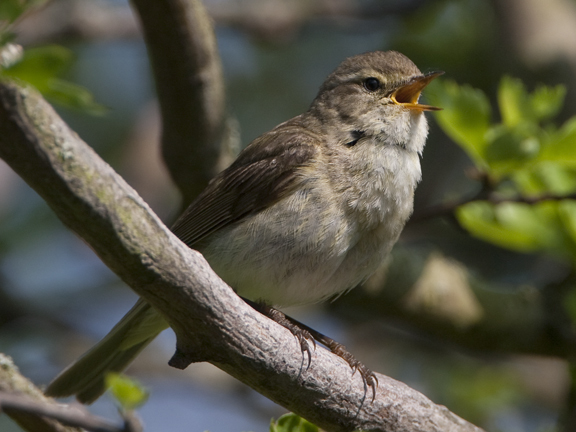 Chiff-Chaff calls replaced by soft "huit" contact calls between pairs. 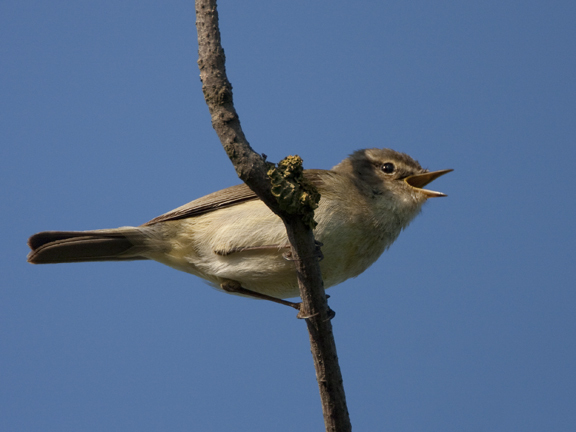 The odd one flits to the top of a branch to sing but the strong, gusty easterly is waving them around a lot. Most of the birds are staying in the relative shelter of the interior of the trees. But as I said they are not alone anymore. Noisy neighbours have moved in and are causing a fuss. They are noisy and boistrous compared to the Chiffs. They frequently hop out to see what's occurring on their patch, sing their short scratchy song from a perch or start a tumbling bouncing display flight over the hedgerows. They are feeding busily. 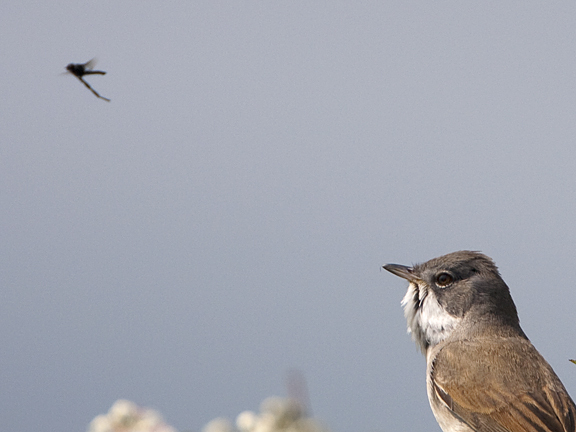 Plenty of flies are replenishing food reserves after the trip from Africa. They are all over the place, up in the tree tops and skulking through the brambles. They are making themselves right at home too. Those that arrived early and have paired off are now collecting nesting material. I watch one for a while as it strips fluff from willow catkins. 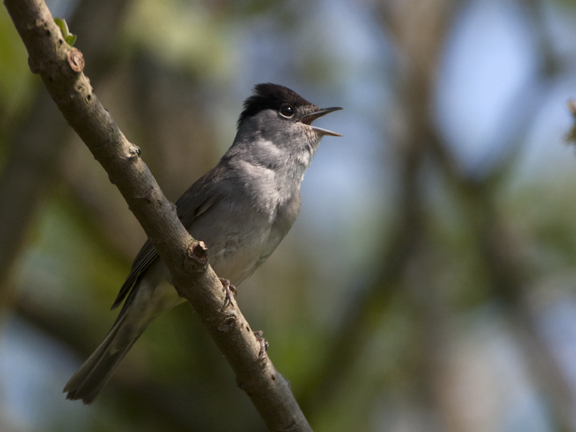 Equally noisy but less obvious are the Blackcaps. Definitely more than the last time I was out and about. The east winds of the last couple of days have delivered us plenty of birds to watch! They are harder to spot, I spend a few minutes enjoying their song but not seeing them! Eventually I connect with a more confident individual and I get the chance to capture his image. 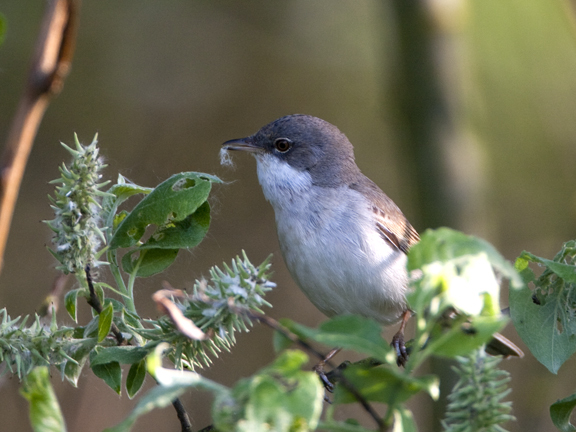 The hedgerows are buzzing with bugs and warblers, I can see a few walks home from work over the next couple of weeks. 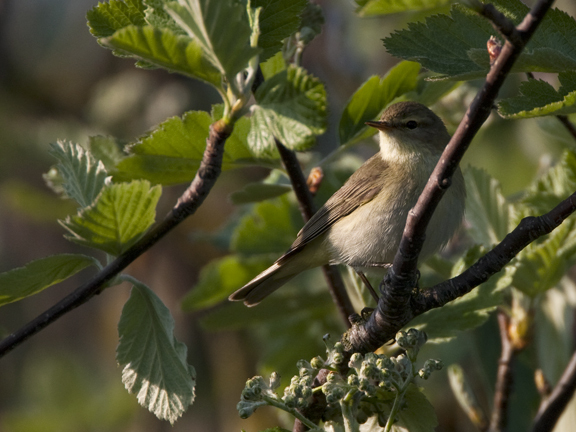 Much easier for the Chiffchaffs to get along with are thier cousins the Willow Warblers. They are much more reserved. Flitting gracefully and quietly along the branches, stopping every now and then for a soft, gentle warble, as if to remind the others they are there too. With my Chiffchaff Alley post from last month I attempted to calculate the number of Chiffchaffs you could encounter along the Wirral Way. I settled on 37 singing males. If all were successful in attracting a female then there are 74 of them out there now. The maths to calculate the numbers of the new arrivals is well beyond me. That would require some serious algebra. Instead this time I stop a while to take in the scene. 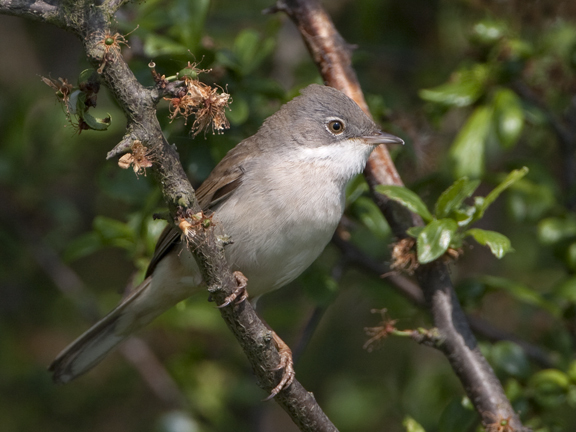 Flies buzz, Chiffchaffs glean them from branches, leaves russle but are drowned out by the Whitethroat's hoarse calls. Above all of this one sound prevails. 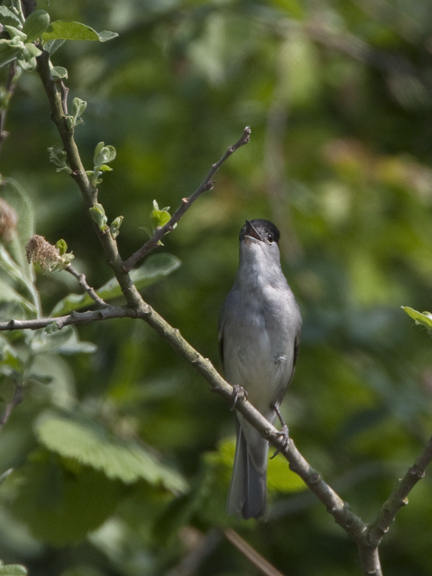 Today the Wirral Way belongs to the Blackcaps. For now I'll call it Blackcap Alley. Back out tomorrow for another performance!